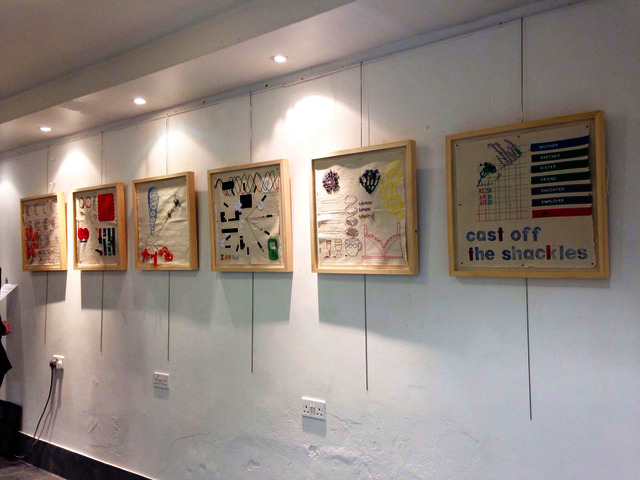 A series of 6 square canvasses capturing the visual responses from the interaction between a group of 6 women tackling the subject of ‘Womanhood’. Each canvas was added to by each woman in the group, in turn, using the ideas & visuals already present, to react to & respond creatively to. The build up of imagery and responses establishes a visual dialogue; a unique narrative of the exchanges.